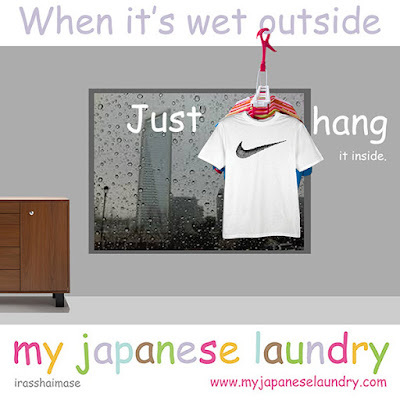 laberal: When it's raining outside. Laberal is neither Labor or Liberal, but is a little bit of both. I am happy for you to copy and use any of the cartoons for non commercial purposes. If you wish to use for a commercial purpose please contact me and we can make the appropriate arrangements. The only other condition is that credit and a link to this site is also given. Copywrite remains with me and all of those normal conditions apply. Also, send me an email with a link to the site it has been used on. My Android app "Stop Give Me a BreaK" is here. What is "Stop Give Me a Break"? Blogotariat. Ozblog news commentary and sometimes great cartoons. Jo Scard. Articles about new media from someone who knows a thing or two about politics and media. Good cartoons too. North Coast Voices. Lots of good articles. Welcomes comments from you and me on Australia, politics and the environment. We're all keen on that. PANDORA. The National Library of Australia's archive of electronic media. The Political Sword. If you're into Australian Politics, this gives some involving reads. I got second in the newmatilda cartoon competition. This is a copy of the formal announcement. We are very pleased to announce that the winner of the inaugural newmatilda.com prize for political cartooning is Sarah Parsons. One of more than 140 competition entries, Sarah's "Climate cliché" was chosen by our panel of five judges as the outright winner of first prize and $6,000. Sarah is a professional cartoonist from the Blue Mountains. The announcement was made last night at the Old Fitzroy Hotel in Sydney's Woolloomooloo by former Senator Andrew Bartlett. While acknowledging her credit card may be the major beneficiary of the prize money, Sarah appreciated the opportunity the newmaitlda.com prize has given to illustrators and cartoonists. Also participating in the event was our very own satirist Ben Pobjie and Natasha Stott Despoja. Natasha enjoyed the chance to respond to political cartoonists, having been a subject for caricature over the past few years in federal politics. The second prize of $1,000 went to Melbourne cartoonist Ian Martin, with his entry "Rudds School Plan". Cartoonist for the Australian newspaper, Lindsay Foyle won third prize and $500 for his entry, "Brendan Nelson Policy Statement". newmatilda.com is delighted with the response and interest in our inaugural competition. There were many terrific entries and they can all be viewed on the competition site. We are already planning next year's prize and looking forward to many more great illustrations from cartoonists in Australia and New Zealand. Thank you to each of our judges, Natasha Stott Despoja, Marni Cordell, Andrew Bartlett, Bruce Petty and Ben Pobjie. The comments above are copied from newmatilda.